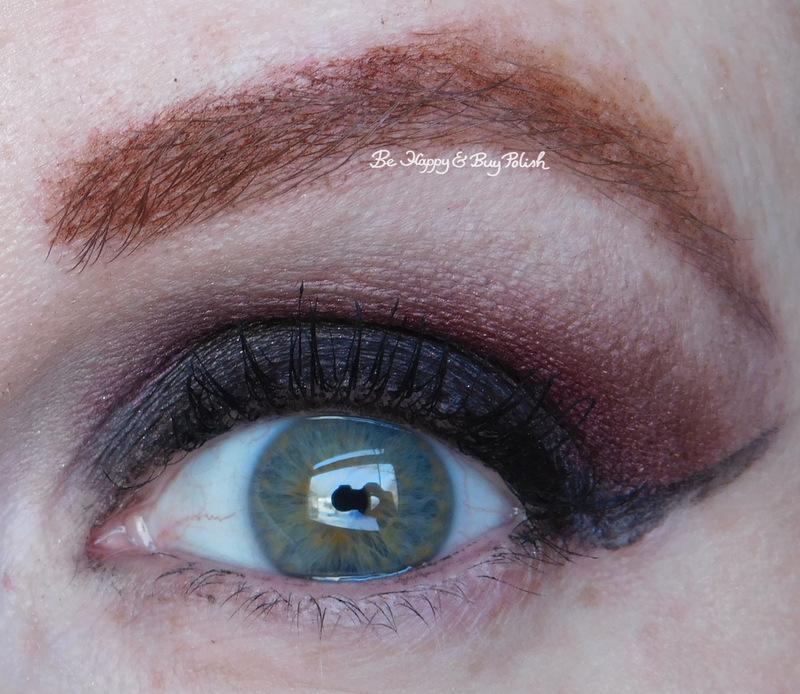 Posted in eyeshadow, lipstick, makeup, pictures, reviews	by Jessica W.
Happy Saturday to you! I thought that I’d show you this makeup look in case you need something dramatic for Christmas Eve Or New Year’s Eve shenanigans. 😉 I used a limited edition palette from Wet N Wild called Velour Vixen to create this look along with Wet N Wild Liquid Catsuit Video Vixen. 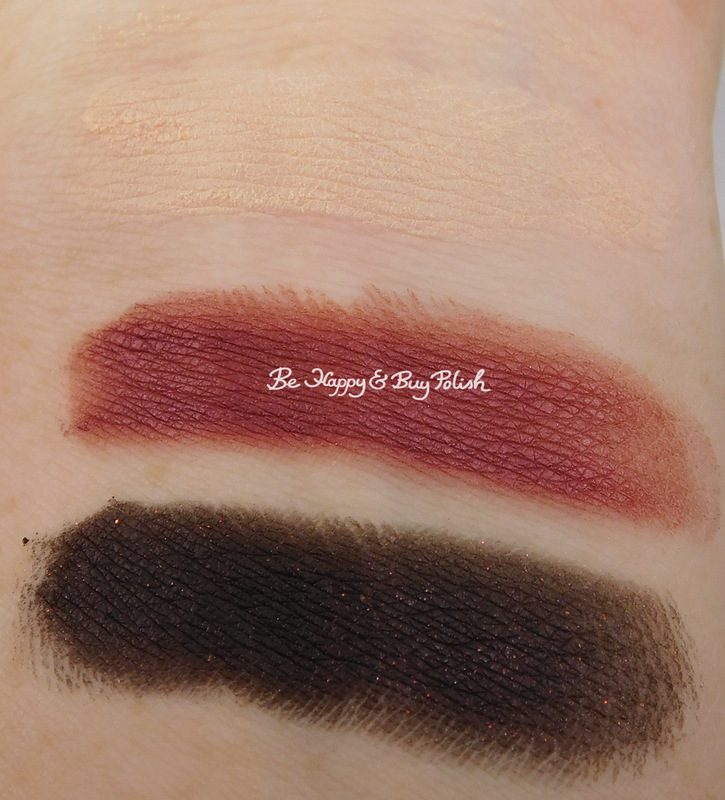 Velour Vixen has three eyeshadows: for brow bone, crease, and eyelid. The brow bone color is a nice warm cream color. It is a bit powdery. 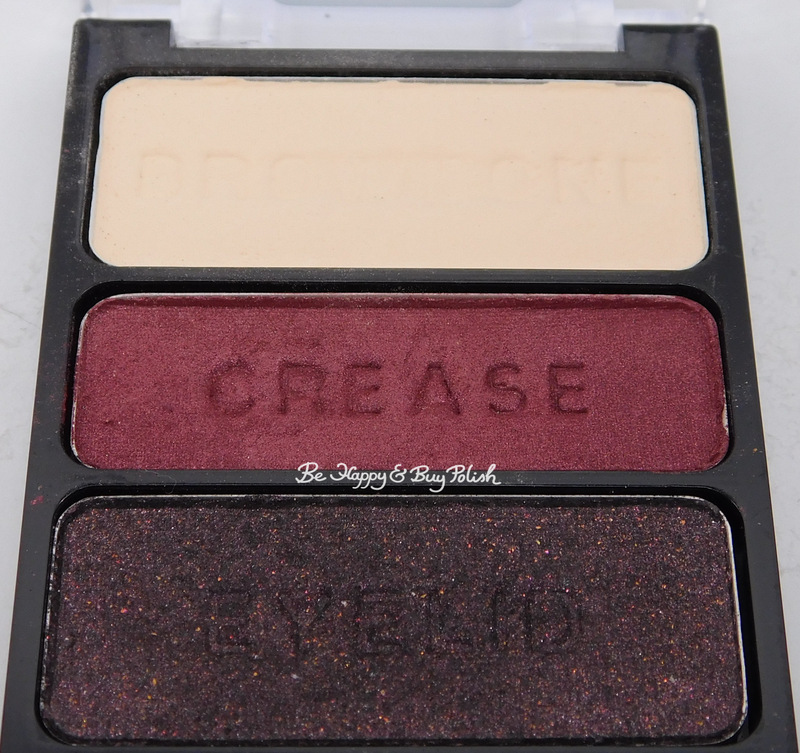 The crease is a slightly shimmery red color, that blends nicely. The eyelid is a black with red sparkle color; the sparkle is not too apparent on the lid, though I caught glimpses of it. Video Vixen seemed like a dark vampy red lippie in the bottle but once you look at it, it’s apparent it’s more of a dark red-pink. 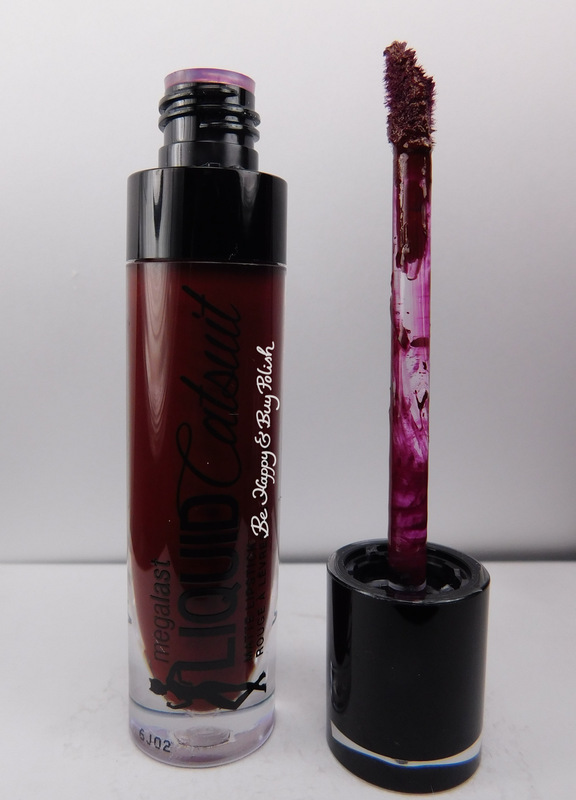 It is a true matte though, and I didn’t feel like I had too hard of a time applying it evenly on the lips. For this makeup look, I did use each color where it is suggested. 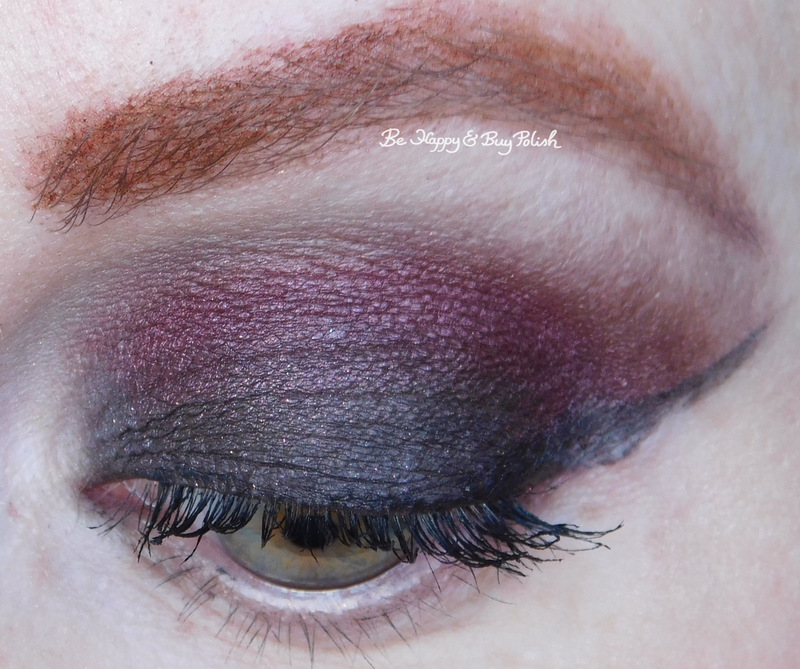 The crease color takes on a magenta hue over the black, which looks really nice. 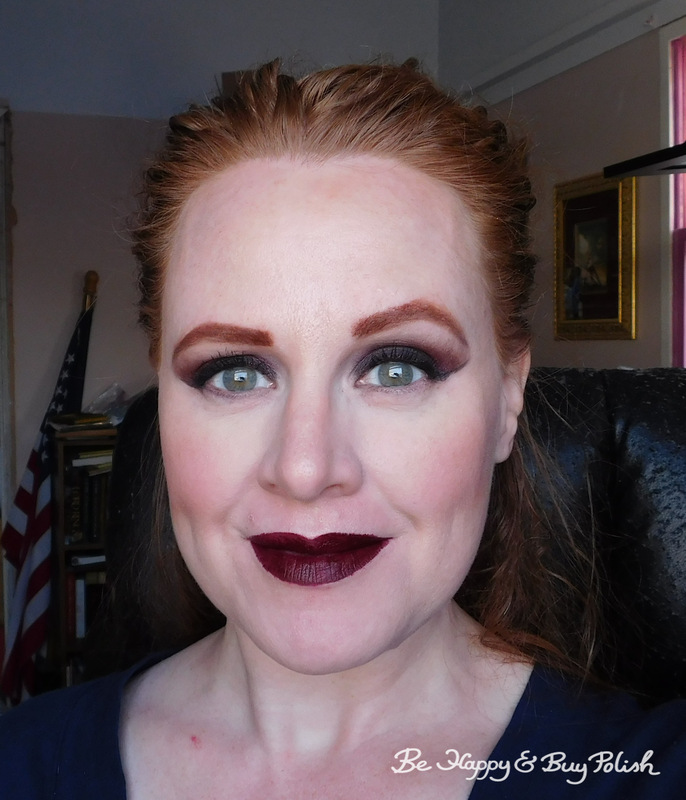 I haven’t done a vampy look like this in awhile, so my husband was a little startled to come home and see me made up like this! It’s fun for a night out or a change up, but day-to-day isn’t really my thing. I hope you have a very happy holiday season, I’d love to know if you have any Christmas Eve or New Year’s Eve plans! That lip colour looks badass on you!